Mike Lovullo: That’s a good story: I moved here from New Jersey to teach for the New York City Teaching Fellowship and taught math and science in the Upper West Side for a year. During that time I took photos for Ale Street News, and met a lot of people in the craft beer industry. 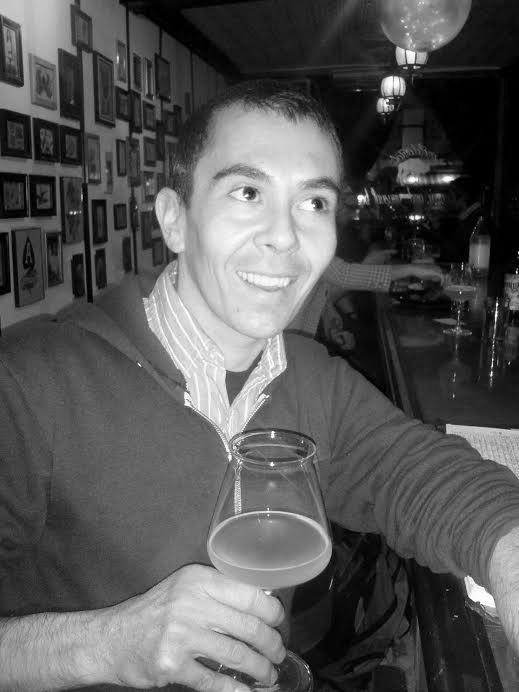 My 2007 New Year’s Resolution (while cheers’ing with friends at Barcade in Williamsburg) was to work full-time in the beer industry. Union Beer Distributors, with their amazing craft portfolio was the obvious fit. WTBNY: What’s your favorite part of your job? ML: Selling great liquid from my favorite breweries to the best bars and restaurants. I love the camaraderie of my suppliers (breweries and importers), accounts (bars and restaurants), and everyone else in the fold. WTBNY: How do you choose the beers you carry? ML: Union Beer Distributors appoints certain breweries for me to focus on. These breweries are very niche and we are limited to what we can bring in from them. I am fortunate that most of the beer from these breweries is very sought after, so being in the position I’m in, I get to place them in accounts that benefit the most from them. If I find out about a great brewery (a recent example is Maine Beer Company) in our portfolio that I think is getting looked over, (and if you can believe it, that was briefly the case two to three years ago for MBC) I ask to manage that brewery and my managers are usually (if not always) in agreement with me. WTBNY: Where do you hear of new brews? ML: Really just going into accounts and living the life of a cultured beer rep. I try to keep it old school for the most part. WTBNY: Do you taste everything you sell? ML: I’d say I taste more than 95 percent. If something very limited comes in that I haven’t tried, but know the brewery’s track record as being more than solid, I’ll definitely recommend it. WTBNY: What’s the most exciting brewery on the horizon? ML: Even though The Bruery has been in the New York City area for a few years now, the fact that their barrel program is yielding brews that were only available at the brewery before makes them even more exciting now. Also, local breweries such as Peekskill that are making some of the best liquid I’ve ever had such as their Eastern Standard—a fresh, hoppy and utterly delicious IPA (not to mention their countless other brews typically only found at the brewery)—make New York craft breweries as sought after as breweries on the west coast and everywhere else in between that we can’t get. WTBNY: Is there a craft beer bubble? Is the market saturated? ML: My take on the bubble is this: Craft beer has finally entered (to a modest degree) the mainstream and when you know how good any liquid can be, you never take a step back. I can elaborate so much more, but I’d like to keep it at that. WTBNY: Take us through a typical day. ML: I can’t speak for everyone (or probably anyone else), but here’s how I roll: gym, start answering emails that pile up over the night, visit accounts starting around 11:30 a.m. (or earlier if any buyer can meet), lunch at one of my favorite accounts, more selling of craft beer, home to document the day’s work & probably an event afterwards. Repeat. WTBNY: You have a beer tattoo? ML: Yep, it’s the Allagash logo. It’s an autumn leaf. I guess I’ve had it for about 5 years now. It’s my second tattoo (Vonnegut on my back was my first). I was contemplating a hop leaf or a chemical formula of yeast eating potential sugar provided by malted barley. Then, while drinking Allagash Interlude one night, I just figured … the leaf. I couldn’t be happier with my choice. WTBNY: I hear you get have pretty special birthday parties. Can you tell us about that?